Last February 25-26, 2017 Pinoy Bloggers went on an exciting adventure in Central Luzon and during that two days trip we stay, eat and experience home at Azzurro Hotel. 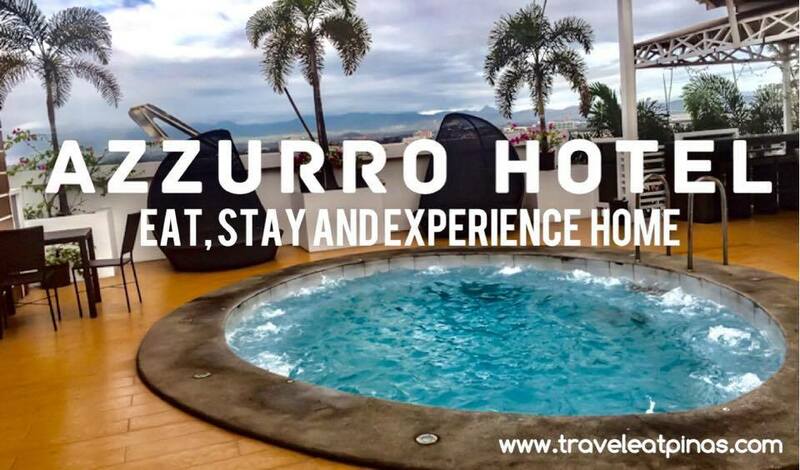 Azzurro Hotel is a 3-star hotel located at 4895 Manila N Road, Balibago, Angeles City, Pampanga. 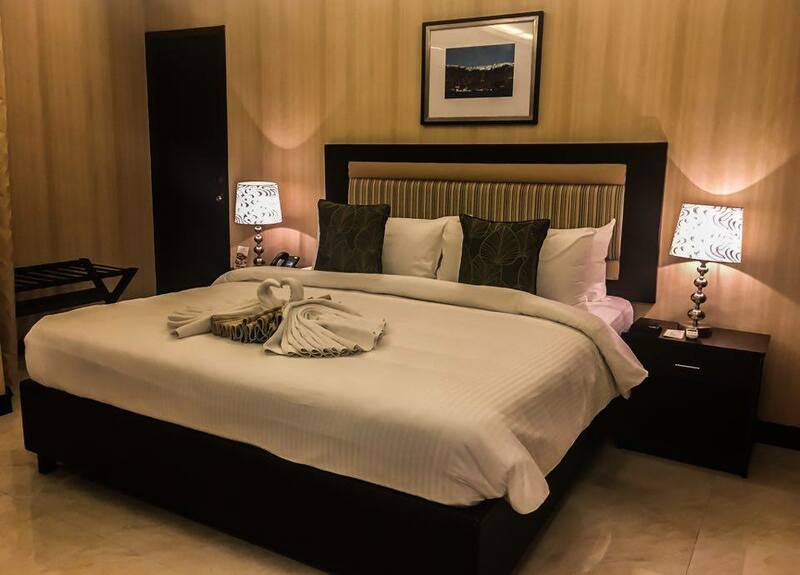 It is a 9-storey building that has 118 luxurious and budget-friendly rooms and suites that fit the needs and wants of local and foreign guests. 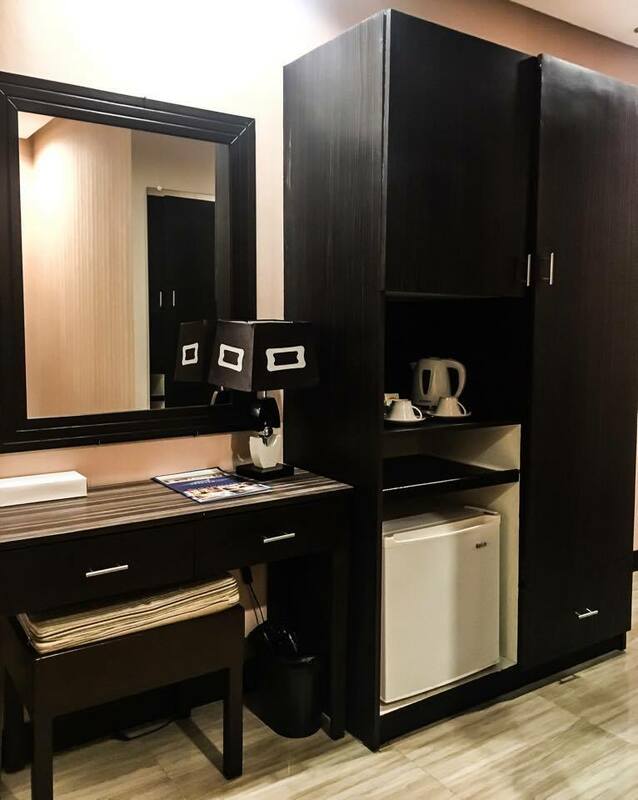 The hotel is located in the heart of Angeles City, Pampanga and is accessible to the different essential establishment like banks, restaurants, government agencies, malls and even casino. From Dau Bus Terminal it will take you seven to ten minutes to reach the hotel. If you are coming from Clark International Airport it will take you 16 to 30 minutes and from Manila, it will take you a two hours drive to reach Azzurro Hotel. Warm greeting welcomed us as we enter the hotel lobby. We were assisted courteously as we placed our bags in our own respective rooms. 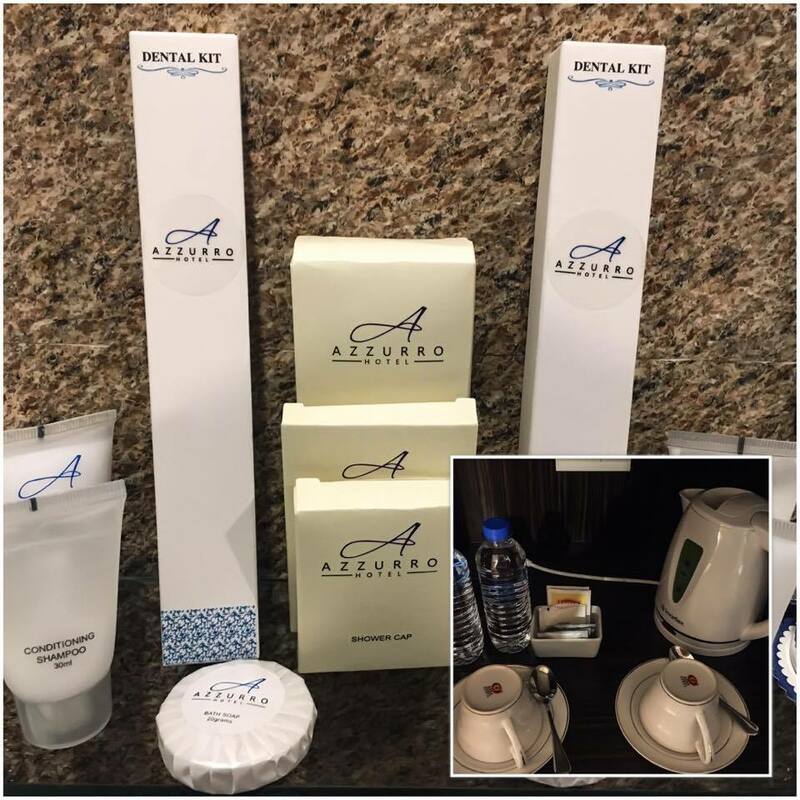 Key card and some of the welcome kits in Azzuro Hotel. Some of the complementaries of the hotel. Me and my roommate, The Kikay Traveller, stayed in a Deluxe Twin Room. Upon entering, the first thing that I noticed was the earth tone colors of the room. The natural shade of the earth incorporated in the area gave the room a warm, relaxing and comfortable atmosphere. It has two double bed set up which is ideal for family or group of four. For those who needs to work while on vacation, a writing desk is readily available in the room along with coffee and tea maker. The room is spacious and neat. 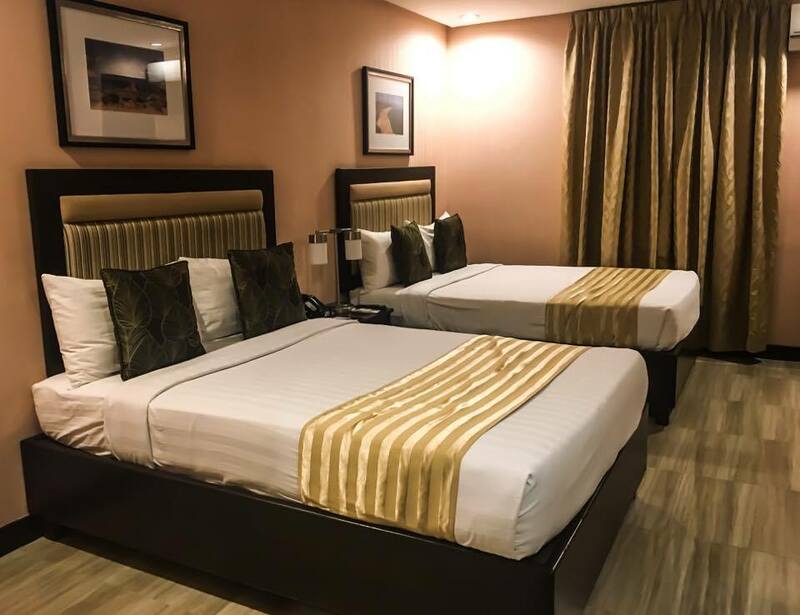 Double bed set up of Deluxe Twin Room. 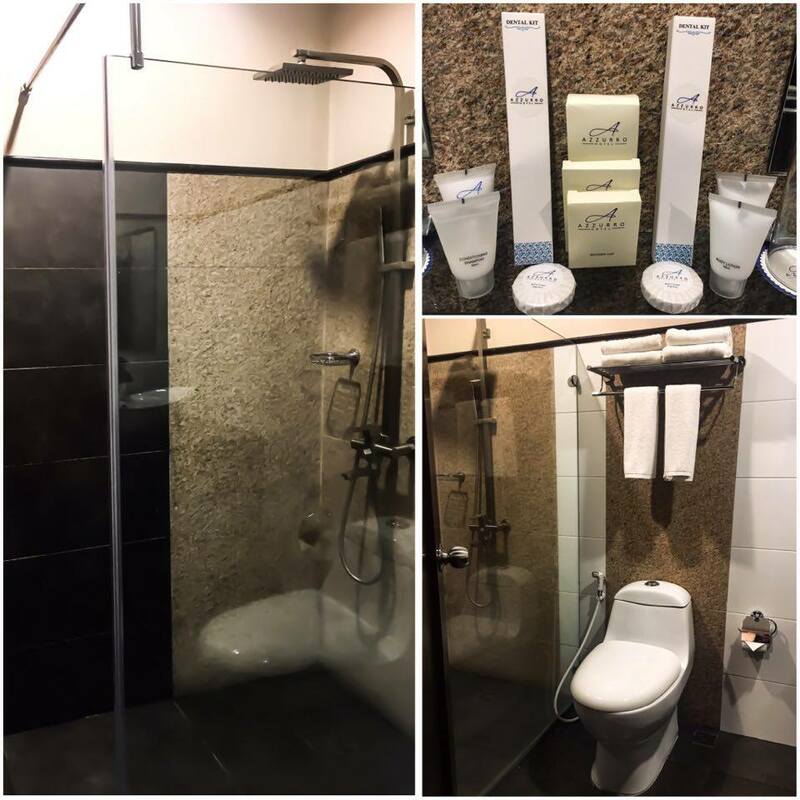 Some of the amenities found on the Deluxe Twin Room. 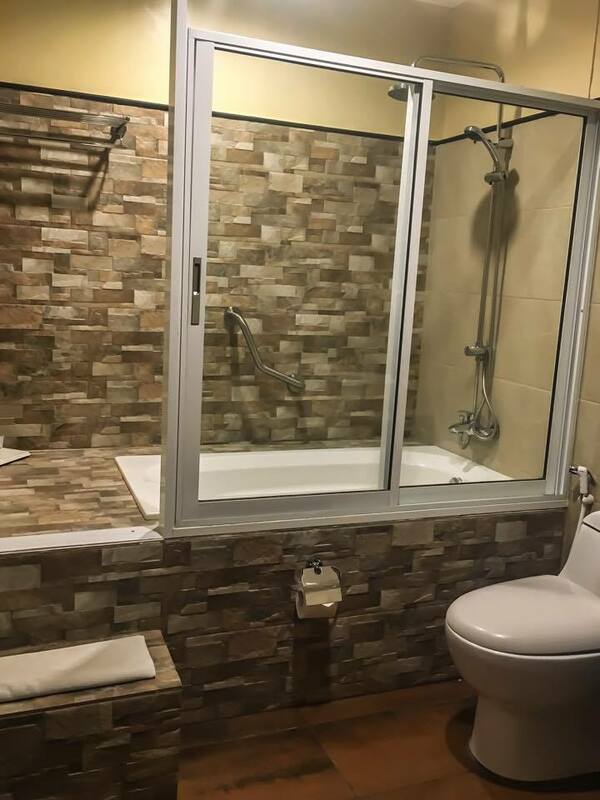 The bath and toilet room also has earth tone colors. 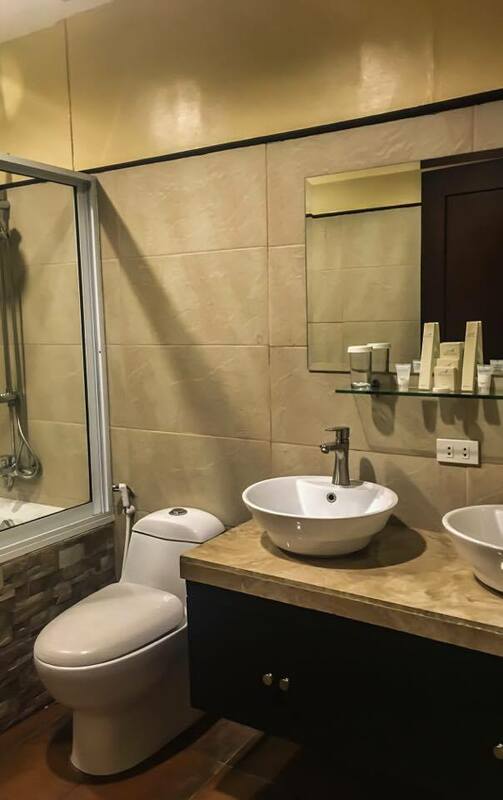 The toilet area is spacious with two sinks and mirrors. Complete set of toiletries were neatly arranged in the middle of the sink and mirror. The bath area like the toilet is spacious. Bath and toilet amenities of Deluxe Twin Room. Aside from our room, we were privileged to see the Junior Suite and Executive Rooms in the hotel. Like the Deluxe Twin, the Junior Suite has earth tone colors. The room is perfect for couples or one to two person. The room has a king-sized bed set up and working desk. 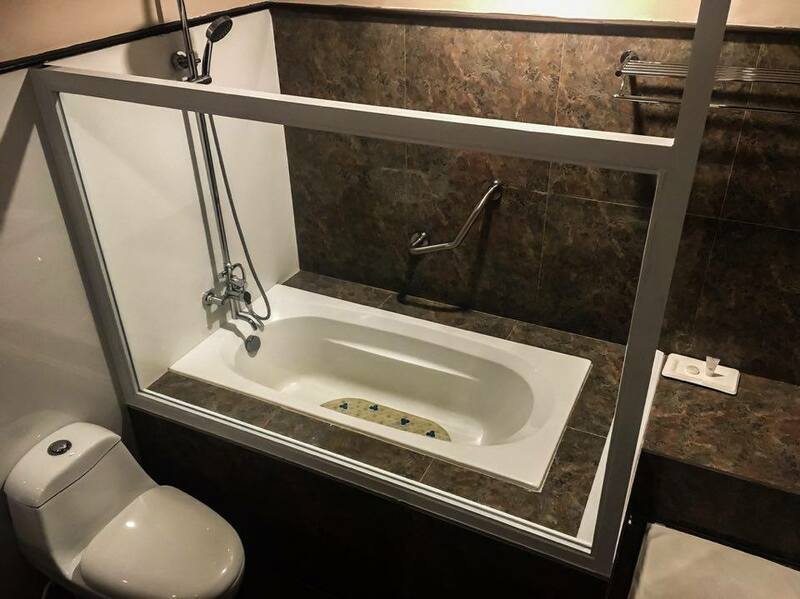 Unlike the Deluxe Twin, this room has its own living room area and bath tub. King-sized bed set up of Junior Suite. Living room area and work desk of the Junior Suite. The largest room is the Executive Room. 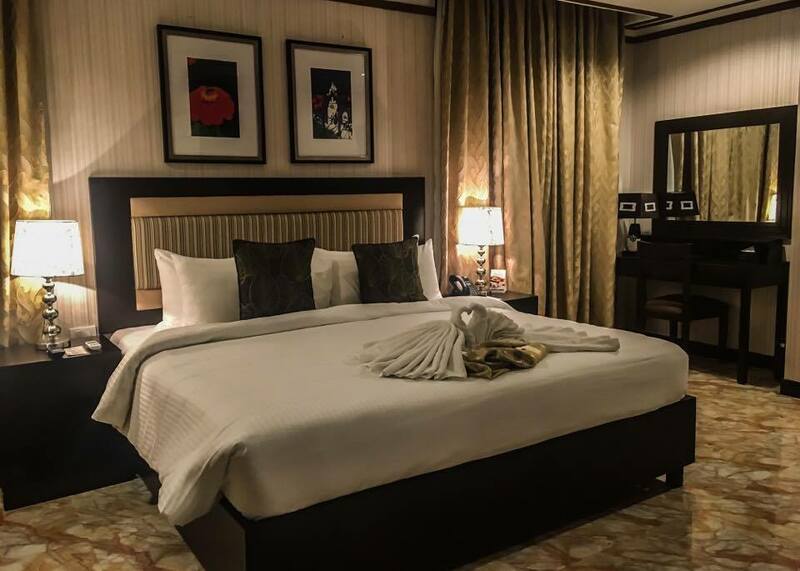 Like the Junior Suite, it has earth tone colors, king-sized bed set up, working desk, living room area and bath tub. 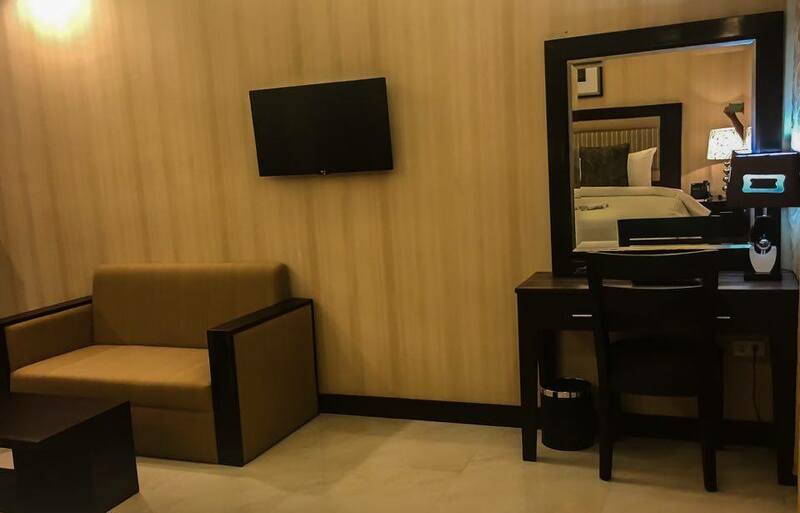 The Executive room also has a minibar which is perfect for celebrating a special occasion with family or with your loved ones. King-sized bed set up of Executive Room. Mini Bar at Executive Room. 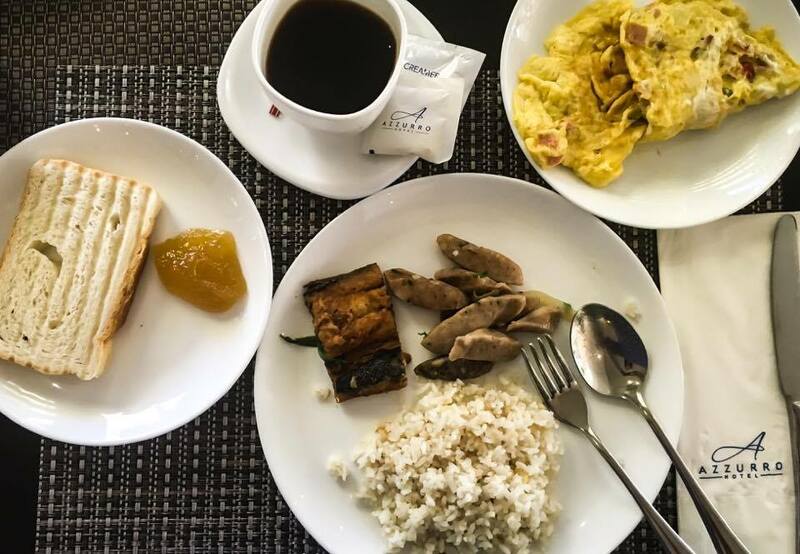 Before heading Tree Top Adventure, Subic, Azzurro Hotel treat us with a sumptuous breakfast at Terraza Roof Deck Restaurant. The restaurant serves a Filipino-American breakfast buffet. 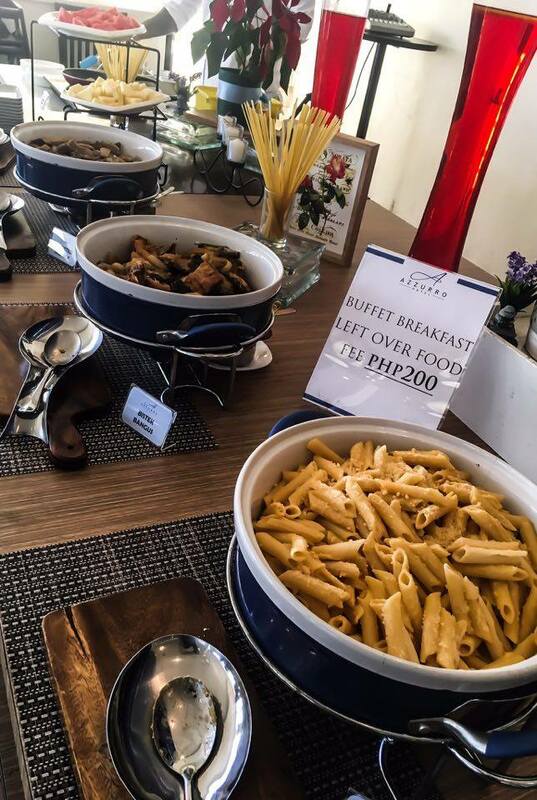 Bistek Bangus, Assorted Sausages, and Penne are some of the dishes serve in Terraza. What I love about Terraza, aside from the food that they serve, is the panoramic view of the mighty Mount Arayat. 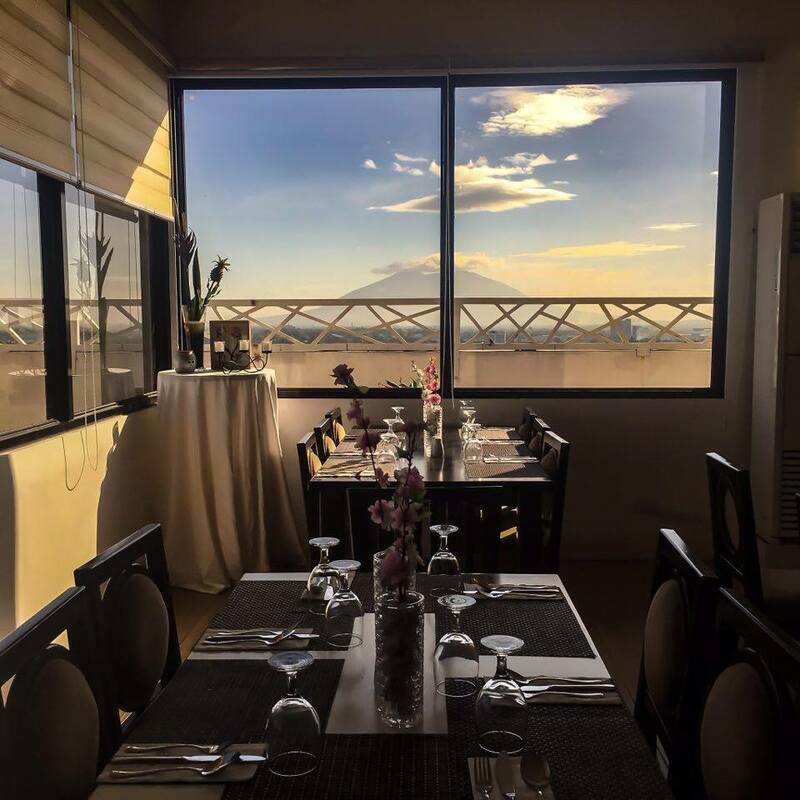 Panoramic View of Mount Arayat at Terraza Roof Deck Restaurant. Breakfast Buffet at Terraza Roof Deck Restaurant. My sumptuous breakfast at Terraza Roof Deck Restaurant. Aside from Terraza Roof Deck Restaurant, Azzurro Hotel also provides one of the best cafes for pastry lovers and those who want to meet and unwind with a cup of coffee or other refreshments. 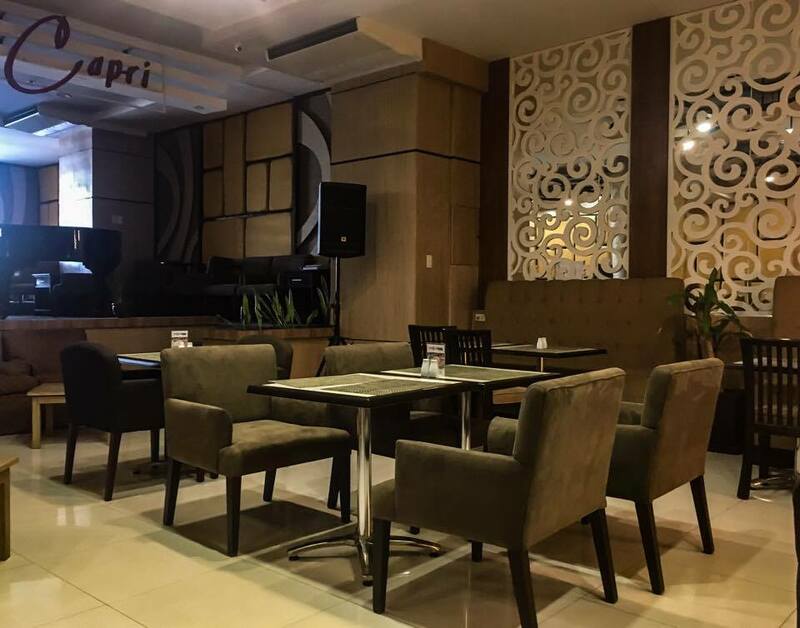 Capri Lobby Cafe and Bar has a relaxing and classy ambiance with its earth tone colors and elegant decor. The cafe offers snacks, pastries, and cocktails with relaxing music. Elegant Capri Lobby Cafe and Bar. During dinner, Terraza Roof Deck Restaurant let us savor their best dishes. We started with Azzurro Green Salad with Asian Dressing. Azzurro Green Salad with Asian Dressing. The salad is composed of mixed green leaves with slices of cucumber, watermelon, red radish, feta cheese and drizzled with tangy mango Asian dressing. 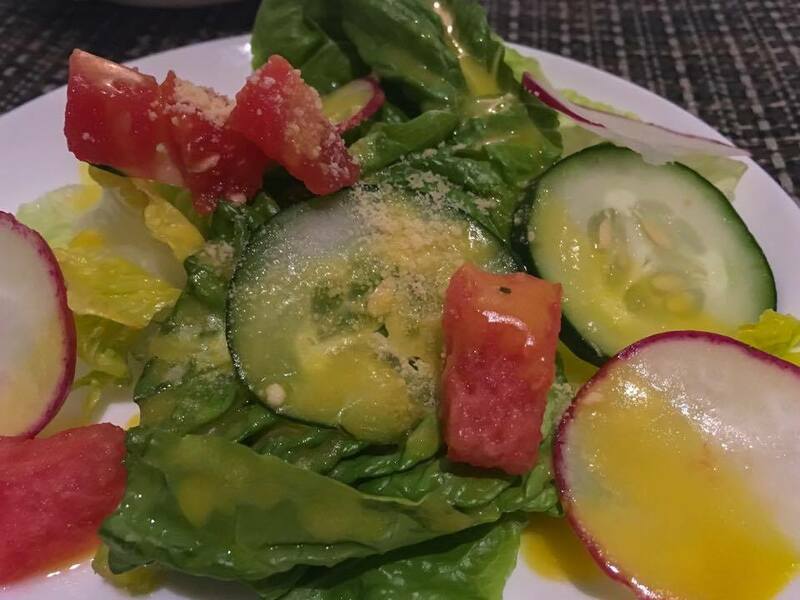 The salad is refreshing and sweet. 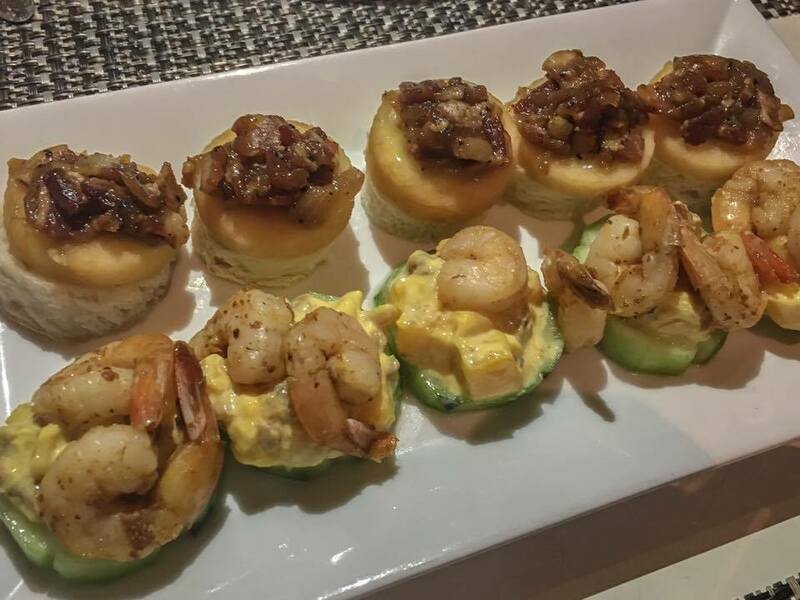 Along with the salad are the delectable canape starters with juicy shrimps. 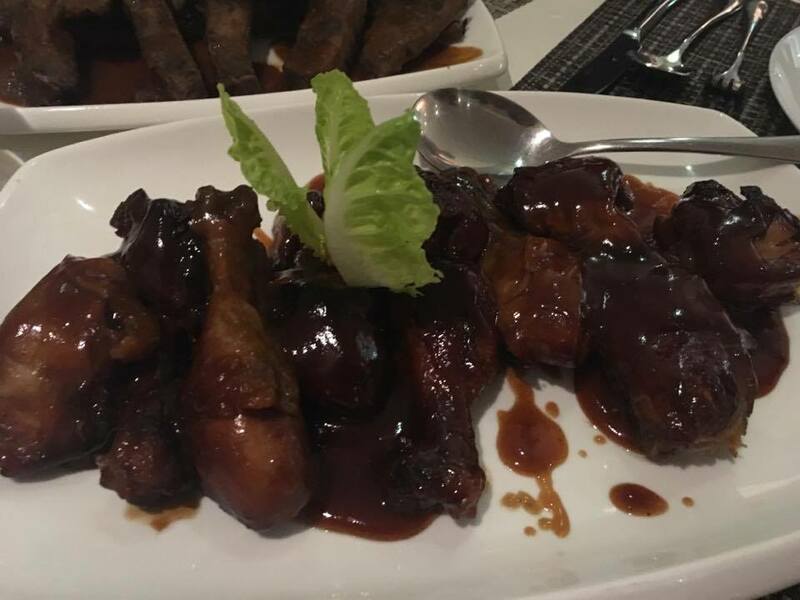 We also tried Terraza's Chicken in Barbecue Sauce. The chicken is tender and oozing with barbecue flavor. 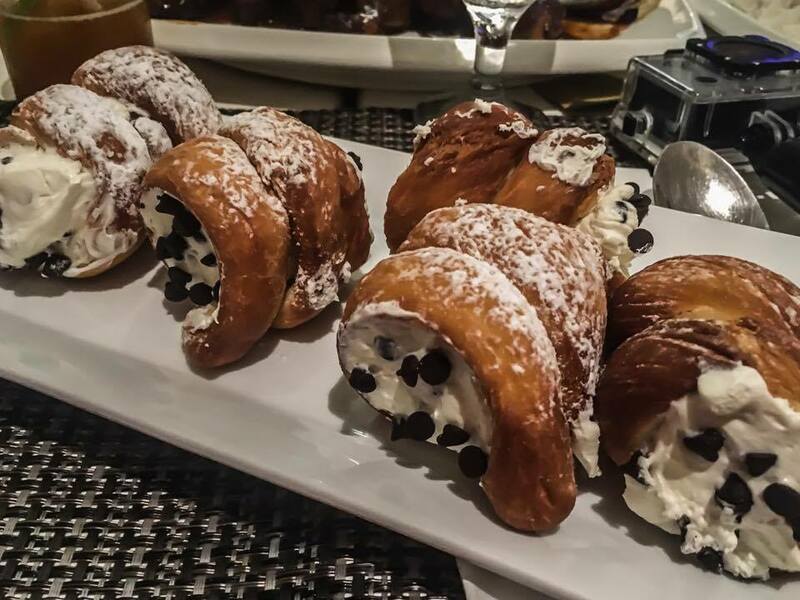 We ended our dinner with fresh fruits and my new favorite pastry, the cannoli bread. I love the flaky bread that wraps the creamy cheesy filling with chocolate bits. The bread is a must try and I will definitely go back to Terraza to grab a bite of this one! 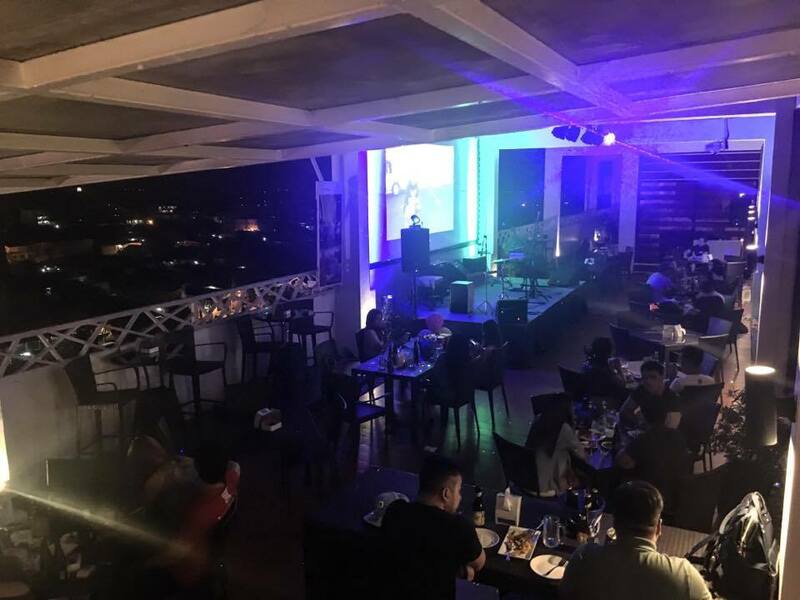 Terraza Roof Deck Restaurant serves breakfast, lunch, dinner and also have live bands for a cozy night out during Tuesday to Sunday. Terraza Roof Deck Restaurant at night. 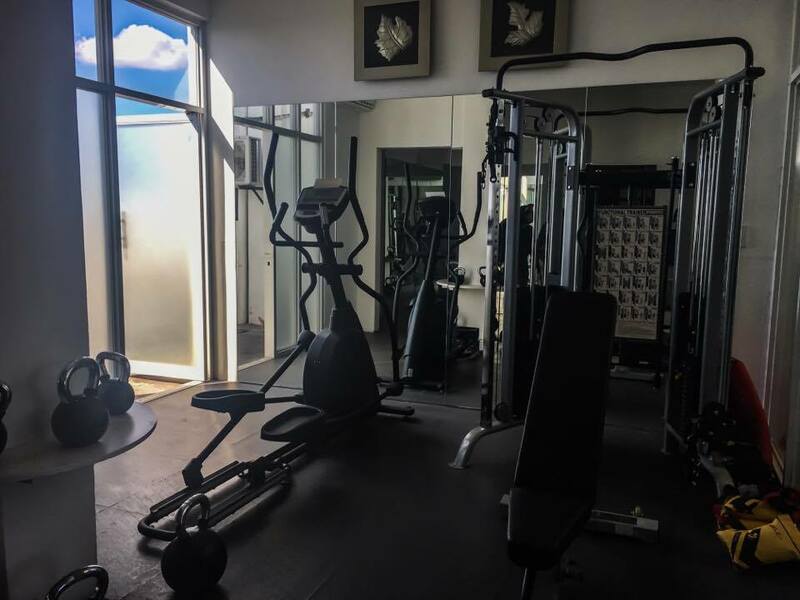 Aside from the great rooms and dishes that Azzurro Hotel has, they also provide their guests a fitness and wellness center. 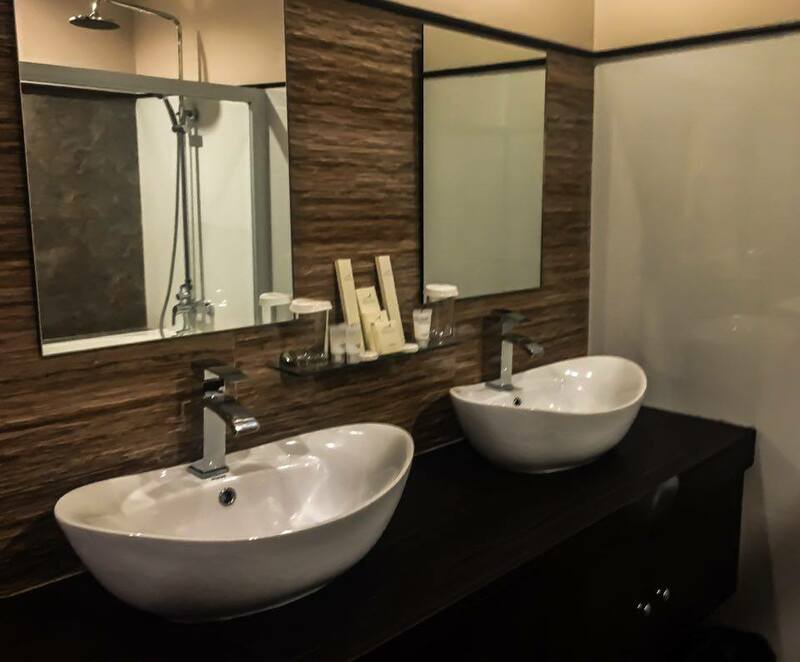 For those who cannot start or end the day without an exercise, you can go to the fitness area of the hotel and do your routine and if you get tired of traveling around Pampanga or with work, you can dip on their jacuzzi or relax in their sauna. Jacuzzi and wellness area of the Hotel. 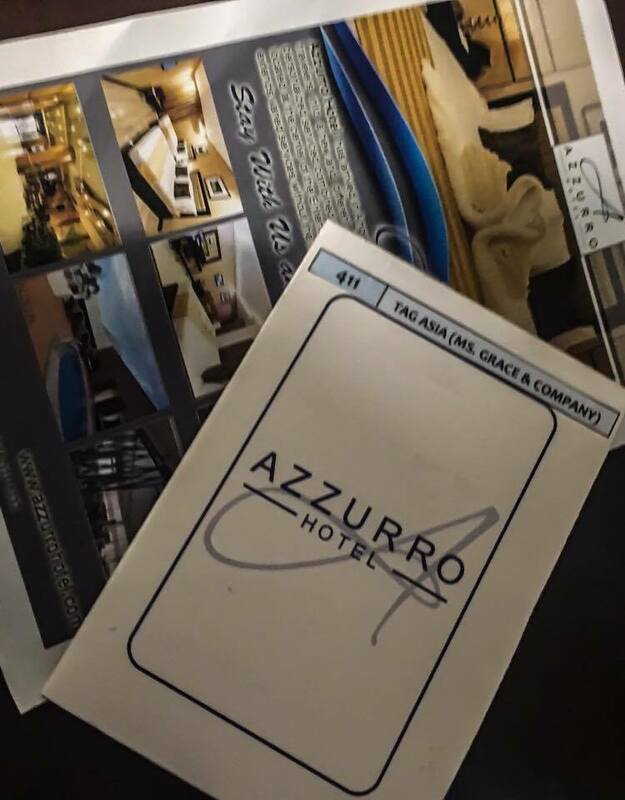 Staying in Azzuro Hotel feels like home. 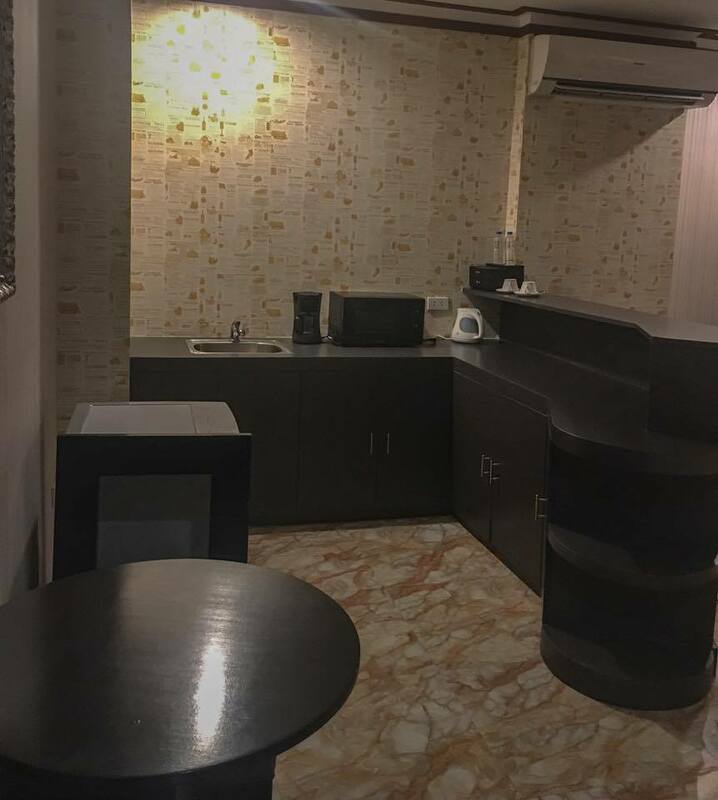 I was able to do my daily routine with the facilities and amenities that they have, my palate enjoyed the delectable dishes and pastries that they serve and I was able to relax, feel safe and rest in our room. 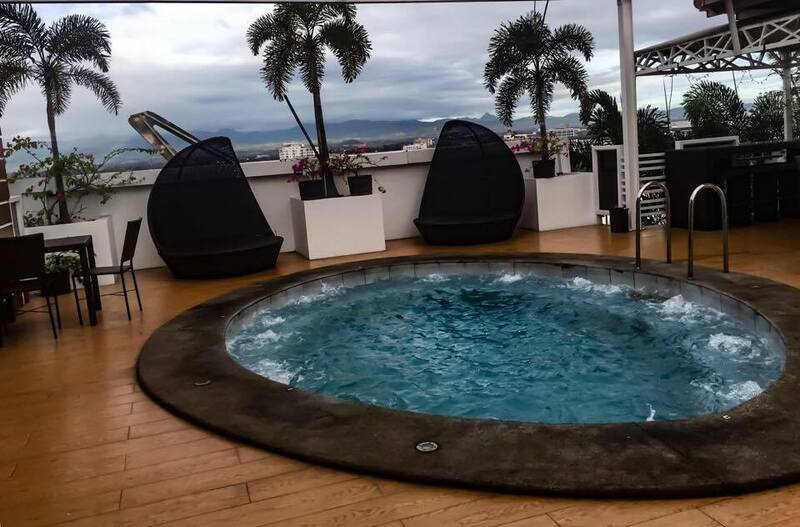 The wellness center relaxed and calm my tired body while the great scenery at Terraza Roof Deck Restaurant made me appreciate the beauty of Mount Arayat.